Have you wondered how much money you can make selling weed or marijuana? With Federal and State laws becoming more soft on marijuana it is becoming more popular to sell and grow marijuana. In some US states (12) medical marijuana is perfectly legal as long as you have a patient ID card and a doctor’s prescription, and two (2) states are legal for regulated recreational sales! So you can become a certified grower and sell weed to a dispensary–so let’s talk about the art of selling weed and what it takes to become a weed entrepreneur! STEP 1 Get a pre-paid cell phone for posterity sake, I would advise paying cash every month and using a fake name. Also if you are doing something Illegal, I would not use anything like Facebook and keep everything out of writing, keep all the numbers in your head and hide any note books and phone numbers you have to keep things private. But don’t sell weed illegally. STEP 2 Get a Hook UP. either grow the pot yourself using dirt and lamps and TIME or get a friend who knows someone cool to hook you up. You’ll want to buy a large quantity. It is also helpful to make profit so DON’T smoke weed. Sometimes the world of drugs can be shady, so don’t just call anyone–especially people who you could never see again–the chance of getting robbed goes up tremendously when this happens. Think about not going too far from your connections, or have someone know someone–A friend of a friend increases your chances of getting caught, loose lips, and some one blabbing about your setup is not good. Best option is to get your license, and apply these principles to setting up a legit wholesale connection, that you know has their license and knows how to grow and cure it right. STEP 3 Scale and Cost, you want to get a digital scale about 20 dollars, you can also use a counter weight scale if you are going to be selling low quality pot or schwag! A digital scale can help you measure out grams, keep your profits, and help develop trust with you and your clients. Pot is usually measured out in grams. Here is a chart breaking it all down. Remember that you make the most profit on small units. Pound 2,500-5,200 some say 6,500 16oz. 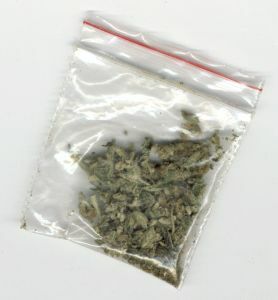 Usually dealers just starting out with an Ounce and sell to friends, this enables them to smoke for free and have to sell to their friends. You can buy an Ounce for usually $325-400 dollars. If you make each Ounce for $480 approximately $60 per eighth of an ounce. If you sell 28 grams at 20 dollars each that is $560, so you can make your money back and then some. So if you make $560 per ounce, sell a pound in grams, you can make $8,960 on a $5,000 dollar investment. Please note that the number listed is with the highest profit margins, a more reasonable number is 6,000, after smoking some, friends’ price, real world stuff, etc..
*Note: Geography can make a big difference on price, laws, supply, demand, who you know all alter the price. Since this price schema reflects dealing with a blackmarket, there are no standard prices. It will be cheaper in California, less expensive by the boarders and coasts and more expensive in rural areas. THIS IS IMPORTANT to note – the prices above reflect what the recreational markets price out for the high-end product. Interesting that the legal dealers pay taxes and make profit for the same price – this is because licensed growers don’t have to deal with risks, which is a win-win, which is why RECREATIONAL MARIJUANA should be LEGALIZED. STEP 4 Be careful. Remember usually when people ask for ounces, say “I don’t sell ounces” stick to quarters, eighths and grams. That way you stay low on any charges that may be trumped up against you and a NARC will come buy something small, then buy a little more, then an ounce, then a pound, its a game to see how deep your connection is and if its worth it or not to bust you. So watch out if you get a new friend/client escaliting for no reason. And if you really have the love and skill, start a dispensary and become a true weed entrepreneur! Don’t brag about how much money you make, don’t keep it under you mattress. Loose lips sink ships. People are going to act like people and they will get jealous of you sitting around making more money than them selling weed and hanging out all day. Also if people know how much you make then they will ask for free nugs, and they will say–“hey what do you need the money for?” Better to just keep you mouth shut, don’t flash your bankroll and stay humble, alert, and on your toes. Cannaclub offer a wide range of Medical Marijuana and Weed Delivery Services in Toronto, Ottawa, Vancouver and other location of Canada. who can front or plug me in milwaukee wi ????????????????? I am trying to sell good Colorado weed does anyone need anything?? I wish! I’m in St. Louis where it’s illegal but it’s a heavy demand for it! do uou live in london?